Home » Gadgets & Apps » How Often Should A Smartphone Design Change? So Sony recently got interviewed by the Indian Express. In the interview, Kenichiro Hibi, the company’s India managing director, told Indian Express that the next generation of Sony flagship smartphones will be coming with a completely new design. This got me asking myself how often should a smartphone design change? The reason what Kenichiro said is important to Sony fans and smartphone enthusiast is because Sony hasn’t changed the design language of their flagship smartphones since 2013. 4 years ago, Sony started their Z line of smartphones with the Sony Z. The Sony Z had a rectangular shape, glass on the back and front, and a metal frame. Over the years, Sony has refined this design by adding new materials but they haven’t completely changed the design of the Sony Z line. If you were to take the Sony Z from 2013 and place it against their latest flagship the Sony XZ1 which was released a few months ago in 2017, they look very similar that you’d think that they were released one year apart. So is Sony the only one in that’s kept a similar design? The iPhone 3G which was the first Apple phone was released in 2008. Apple maintained the design of the first phone on their next phone released in 2009 but had some small changes, the iPhone 3GS. In 2010 when they released the iPhone 4, that’s when they made the major design changes. From there on, they kept the same design and just made refinements or increased the size a bit but it was largely the same design. It wasn’t until 2014 when they released the iPhone 6 that they made another significant change to the design of the iPhone. According to some, Apple kept the same design from 2010 to 2014 because the iPhone Retina display was so good and sharp that they didn’t need to increase the display size or make other changes. However, they eventually changed the design after 3 years. Given how they had also maintained a 3-year design refresh cycle, could 3 years be the sweet spot? Samsung wasn’t that different to Sony and Apple when it comes to changing the design of their flagship smartphones. In 2010, they released the Samsung Galaxy S and Samsung Galaxy S2 which followed wasn’t all that different from the previous one. The major design change that followed came in 2012 with the Samsung Galaxy S3 and the trend of refining the design a little bit continued until 2015. In 2015, they released the Samsung Galaxy S6 which was a leap from their design language as they began using a glass panel for the back of the phone instead of plastic and they included a metal frame also. In that same year, they also released the Samsung Galaxy S6 Edge which brought a new design concept. Samsung then kept the same design for the Samsung Galaxy S7 and S7 Edge which followed and recently changed it in 2017 when they released the Samsung Galaxy S8. For Samsung, the new design release cycle was around 3 years then 2 years. So could every 2 years be the ideal amount of time to release a new smartphone design? LG wasn’t an outlier at first when it comes to how often they released a new flagship smartphone with a new design. The design was maintained and refined a little bit from the LG G2 released in 2013 up until the LG G5 released in 2016. The LG G5 completely changed what the LG G series was defined as and it even brought a new smartphone design thinking just like the Samsung Galaxy S Edge series. The LG G5 was modular meaning you could add custom modifications to the phone for extra functionality. It also had a metal body which was different from the plastic one that had been maintained over the years. Some people even say that the LG G5 brought a radical design by being modular that it had to be just an experiment. LG kind of proved that assumption to be true by changing the design of the LG G6 which followed later. The LG G6 which was released in 2017 brought a glass back and metal frame design. It also removed the modular capabilities that were in the LG G5. So how often should a smartphone design change? Looking at these models of smartphones from the different manufacturers, it seems like there is a trend of how long it takes before a smartphone design is changed. 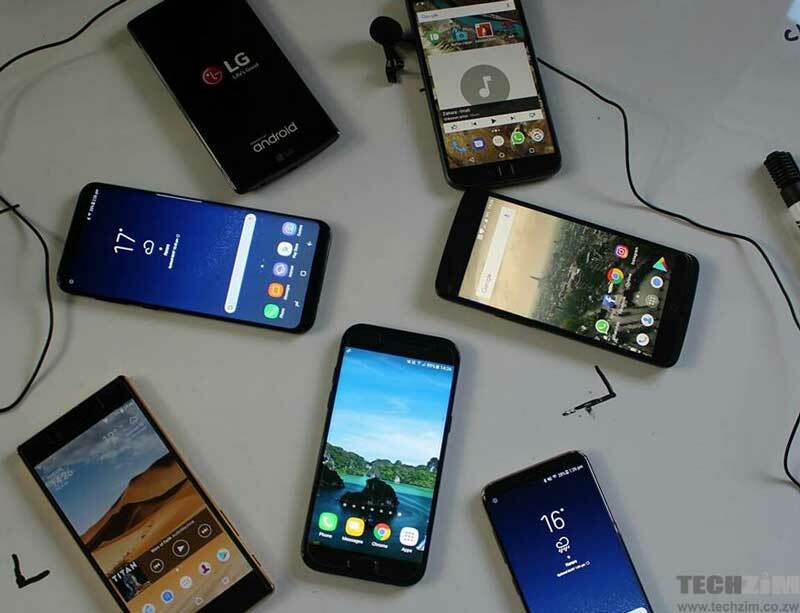 Yes, these are not all the smartphones made by these companies but these are the ones that are generally put up against each other when comparisons and reviews are being made so that’s why I chose them. And again, these are not all the smartphone makers in the world, Huawei has even climbed up the ranks to number 2 even though it’s still a young company in the flagship smartphone business compared to Apple and Samsung. It seems like the average time for a new smartphone design is once every 2-3 years. Sony and LG are outliers because they took 4 years and 3 years then 1 year respectively. However, they are important outliers because they raise that question. So should a new smartphone design come after 4 years as in the case of Sony? Or should a new design come every year even if some are experiments as is the case of LG? For me, I wouldn’t mind if a new smartphone design came once every 2 years from each manufacturer. 4 years is a bit of a stretch because there is a lot of competition. And given how most of the smartphones are just ordinary flagships because they are all similar, a smartphone maker needs to constantly bring new and exciting feature but more importantly, a new design. Very few people like to buy a smartphone that looks the same as a version that was released 4 years ago. However, given how Sony is still in the smartphone business maybe people don’t mind at all. So let us know what you think. How often would you like a new smartphone design to come from your favourite maker?